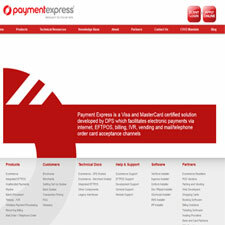 Payment Express Reviews - Scam or Express Payment Partner? Payment Expressis a Visa and MasterCard certified processing solution developed by DPS for fast and accurate online payment processing for the Australian and New Zealand credit markets. DPS is used for card transaction processing on the Web, EFTPOS, Billing, IVR (Interactive Voice Response), CRM, Vending, MOTO (Mail Order / Telephone Order) and Wireless devices. Merchant Payment Express provides you with the benefits and savings of credit card processing with a large company, while maintaining the level of personal customer service one would expect from a small company. DPS are certified with banks in Australia, New Zealand, Pacific Islands, Singapore, South Africa, USA and United Kingdom. I have used Payment Express for charging in multiple currencies. They have great recurring billing functionality so that you do not have to store card numbers. Payment Express enabled me to use several of my bank accounts from different regions (Singapore, Malaysia, UK) directly via a single interface on my website to take payments seamlessly. It has worked very well so far and they have a great 24/7 support team. Support is a joke. After months, we are still unable to use DPS/PAYMENT EXPRESS because we haven’t received our credentials. Australia’s people do not answer mails.